Left to right: Maurice Butler, Secretary, Tiffany Norris-Pilcher, Council Member, Dionne Comery, Registrar, Darnell Osborne, Immediate Past President, Diveane Bowe, President Elect, Gowon N. G. Bowe, President, Chandrice Ferguson, Treasurer, Shaneska Kemp, Council Member, Nerika Burrows, Council Member, Myra Lundy-Mortimer, Council Member, Pretino Albury, Council Member. Darnell is a Certified Public Accountant and a 1989 graduate of the University of Waterloo in Waterloo, Ontario, Canada. She holds an Honors Bachelor of Arts Degree in Chartered Accountancy Studies. She is currently the Financial Controller at the Insurance Company of the Bahamas, a local general insurance company. Darnell is currently a member and licensed Chartered Accountant of the Bahamas Institute of Chartered Accountants (BICA). She was elected to BICA’s Council in 2011 and appointed Secretary in 2012. In June 2013, she was elected and appointed 1st Vice President and chaired the Investigations and Ethics Committee of the Council. In June 2014, she was elected as President of BICA. Darnell is also a member of the American Institute of Certified Public Accountants (AICPA). Served as 2nd Vice President of BICA in 2014, current Chairman of the Bahamas Chamber of Commerce and Employers Confederation and Chairman of the Chamber’s Coalition for Responsible Taxation. Gowon is a regular presenter/facilitator at seminars and training sessions, business/accounting related discussion forums. Member of BICA since 1997 and served on BICA Council for the period 2006 – 2007, as Assistant Secretary and CPE Committee Chairman, and for the period 2014 – 2015 as CPE Committee Chairman. Currently employed by UBS Trustees (Bahamas) Ltd. as Head, Operations. Previous employments included UBS (Bahamas) Ltd. as Head, Controlling & Accounting, Banque SCS Alliance (Nassau) Ltd. as Head, Finance & Administration and KPMG. Lecturer in accounting and finance courses at the tertiary level. Partner with Deloitte & Touche in The Bahamas with 20 years of professional experience in public accounting, risk advisory and management consulting services, including 9 years as a partner. He leads Deloitte’s Enterprise Risk Management Services across the Caribbean & Bermuda countries. CPA and Certified Information Systems Auditor. Previously served on BICA council in total 5 years, including 1 year as Vice President. 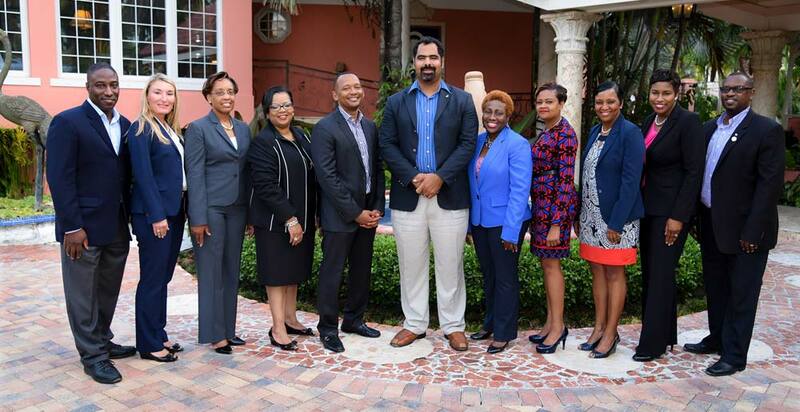 Chandrice is currently the Manager – Financial Reporting and Regulation – For Bahamas First Group of Companies. She has worked in the Financial services industry since 1988. She also has served as an advisor for Junior Achievement and with the youth of the Catholic Archdiocese. Certified Public Accountant, Georgia, USA. Talia is an audit director and Chief Financial Officer, Deloitte and Touche Bahamas where she has over 13 years of professional experience. She graduated from the College of The Bahamas where she received both business and accounting awards and is a CPA. Served on BICA council a total of 3 years in the capacities of CPE chair, Treasurer and Student Committee chair and 1 year as a member of the technical committee. Jacqueline is a licensed member of BICA and has served in the past as secretary in 2002, 2010 and assistant secretary 2014. Served as chair of the Disciplinary committee 2010 & 2014. Pretino is from Freeport Grand Bahama. He began his career in accounting at Deloitte and Touche in Nassau, Bahamas. Having served at that firm for over 10 years in Nassau and throughout the United States of America which he ascended to Senior Manager during his tenure at Deloitte, Pretino decided to work along in a boutique firm (AGM Partners) where he now serves as the Assurance, Tax and Financial Advisory Services Partner. Worked at KPMG (commencing 1995) followed by as short tenure at Freeport Concrete until 2001 when she began a small accounting practice with Mr. David Hamilton, Chartered Accountant, Freeport, Grand Bahamas. An avid tennis player, member of toastmasters, licensed BICA member. 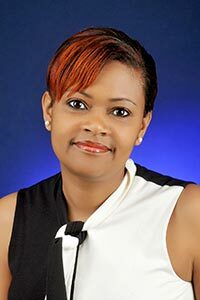 Principal, KPMG in The Bahamas Shaneska provides assurance and related services primarily to financial institutions (including banks, trust companies, investment companies and investment funds). Key clients in the banking industry include KPMG international clients and local clients. 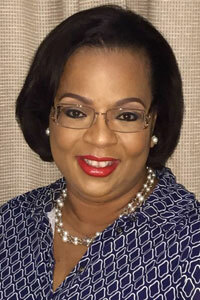 Cecile B Greene, 1987 graduate of Dalhousie University, qualified under Georgia State Board in 1989, member of Bahamas Institute of Chartered Accountants since 1989. Holder of a practice license. CFO of Bahamas Electricity Corporation since 2009. Previously served in senior management in the financial services industry. Served on BICAS Council for four non-consecutive terms. Chaired Disciplinary committee and co-chaired the recent Legislative Reform committee. Dionne Comery, CPA, MBA has over 26 years’ experience in the financial services industry. She worked for the last 11 years in the Mutual Fund Industry with Citi Hedge Fund Services (Bahamas) Limited and Citco Fund Services (Bahamas) Ltd. She also worked at PricewaterhouseCoopers for 15 years of which 2 years spent on secondment with the Securities Commission of The Bahamas where she established the Inspection Department. She is currently the Treasurer and Chairperson of the Finance Committee at St. Agnes Anglican Church. Mr. Bastian was appointed Auditor General of the Commonwealth of The Bahamas on 1st August 2001 where he continues to serve. He is a Certified Public Accountant and in 2014 served as a BICA Council member & Chair of the Practice Monitoring Committee. 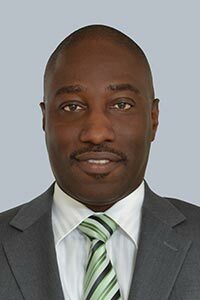 He also serves as Member of the Governing Board of the International Organization of Supreme Audit Institutions (INTOSAI) and the first Chairman on the Caribbean Community (CARICOM) Secretariat Audit Committee (2011 to 2015). Ms. Davis is the current Vice President of Patient Finance at Doctors Hospital, the leading private medical facility in The Bahamas. She also co-chairs the Governments VAT Private Education Task Force responsible for assisting with the implementation of VAT. Jasmine Davis was elected President of the ICAC in June 2015 and was first appointed to the ICAC Board as Alternate Director in June 2012. She currently chairs the ICAC’s Regional Education and Joint Seminar Committee and previously served as Vice President from June 2011-2013.